Tired of the standard designs for HDD enclosures? ineo presents a brand new enclosure C2578c with a honeycomb style case for 2.5 inch hard drives and SSDs, while opening the case, there is a stylish integrated adapter cable as an alternative way to connect the hard drive without worrying about misplacing the cable. Besides the stylish appearance, the USB 3.1 GenII supported chipset provides faster speed than regular USB3.0 performance, powered by the VL716 chipset with no extra power requirement. 1. Brand new honeycomb design for the case with an integrated adapter cable, stylish and convenient while using. 2. Compatible to SATA 2.5 inch 7mm-9.5mm hard drives and SSD, no extra power necessary. 4. 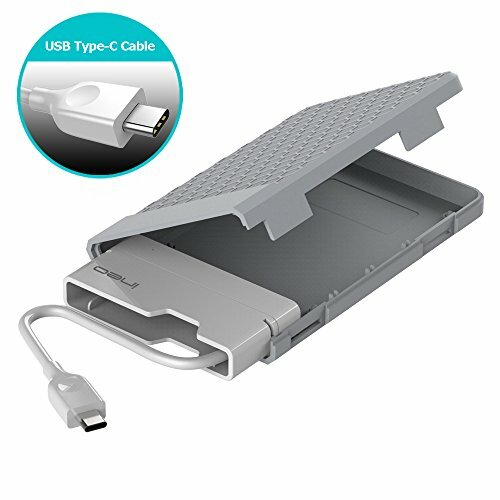 No tools required for connecting the hard drive and SSD, safe carrying and easy data transferring. 5. Supporting Hot-swapping, plug and play function, instant connection when plugging into PC. Hot-swappable, plug and play, no need to reboot or extra drivers.